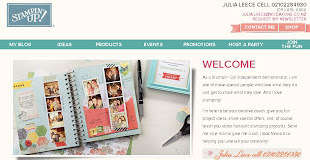 Julia's Cards: HIP HIP HOORAY!!!!!! Now this is one of the BEST things I've seen bought out by Stampin' Up! for a while. 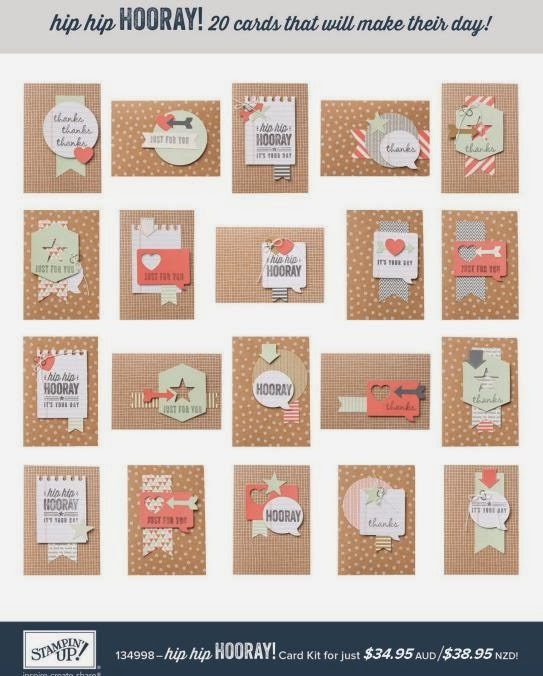 It is a FABULOUS card kit for new or experienced crafters. 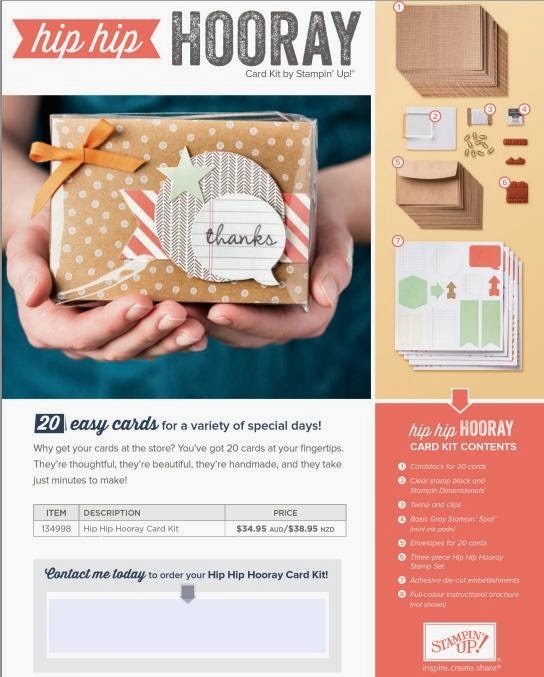 This kit has EVERYTHING you need to make 20 cards - including the card bases, envelopes, 3 clear mount stamps, one clear block, a Basic Grey Stampin' Spot (ink pad), some thread and clips, a heap of self adhesive tags AND full colour instructions on how to put together 20 different cards!!! At only $38.95 it's a GREAT deal. -You could gift someone the unmade pack who has never crafted but you know they will love it! -You could make all the cards up and give them bundled up as a present. -You could just make them up and have 20 cards ready for ANY occasion needed! !